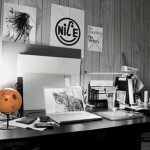 Minimalism is a buzz word these days. 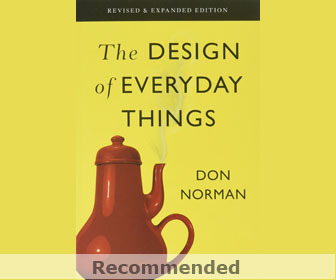 Though it is a vast topic; we can adapt this in products design by making a product multifunctional. 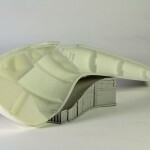 Today where space is at premium; we cannot afford to waste floor area in having ‘N’ number of products. 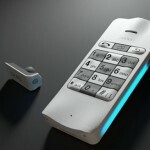 Concept paNBin is an answer to the above addressed problems. 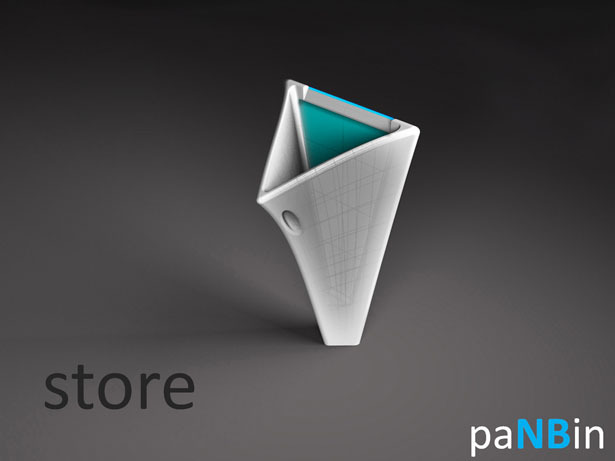 Concept paNBin follows the reductive aspect of modernism not in terms of form but in terms of its functionality. 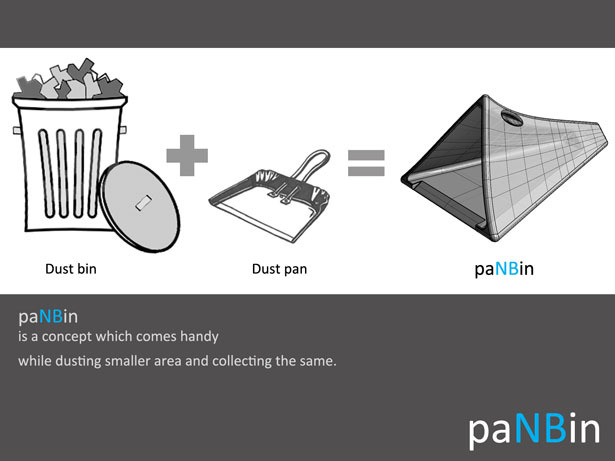 It is a combination of products Dusting Pan & Dust Bin and hence is the name. 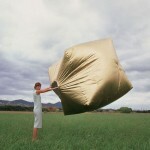 Moreover it stands in corners of house hiding all its content through its form. 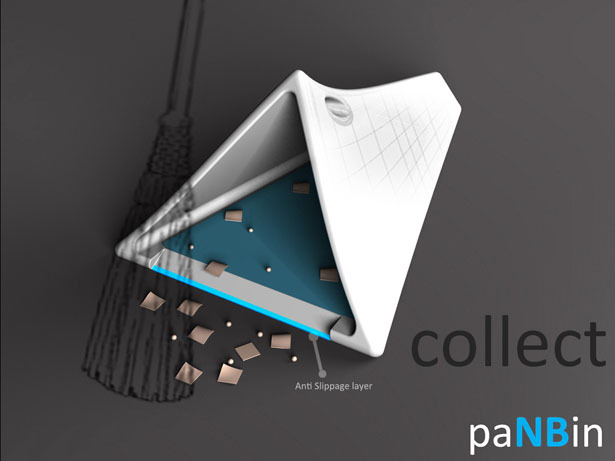 Concept paNBin also breaks the contemporary visual language of dust bins. 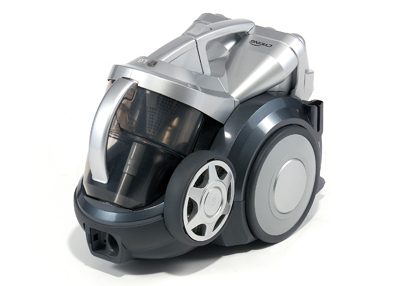 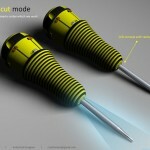 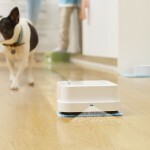 The concept is made for domestic use and for cleaning smaller areas. 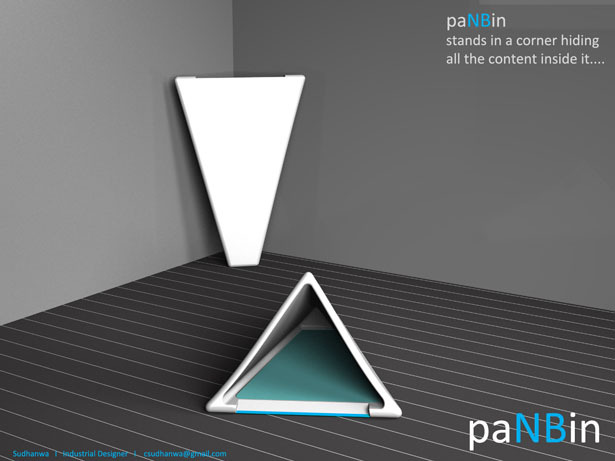 The designer hopes that the concept paNBin will reduce the visual clutter in your house! 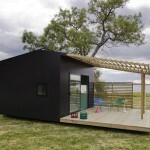 This entry was posted in Designs and Concepts, Domestic Aid, Home And Kitchen. 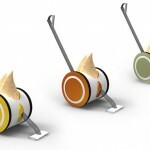 Tagged as buzz word, Concept, Designer, dust bin, dust bins, form, minimalism, topic, visual clutter, visual language.